I started a drone racer from today. Even though I started, there is neither a competition race drone nor FPV goggles amateur radio 4 grade license. There are many possibilities for new entrants in hobbyists and business use such as drones, aerial shooting, hobby and race competition now. But, what should we do without knowing the lack of information and method? I hear a lot of voices. This time I will tell you the way to the drone competition debut. But you have to pioneer yourself! However, it is easy to challenge if there are opportunities to open up and environmental conditions. First of all, the drone race itself is a sport that I just made, the competition itself has not been established, and the rules and standards are various. It is good to say that it is a good point in the creation period, but I thought about the hope until I reached the race participation in the future. How to make a race drone machine? First of all, how do you make a race drone machine that requires the most knowledge and skill? I wonder what is going on with something like car F1, F2 or class? I tried to investigate, but a new race is always born, yet the uniformity in Japan and the world has not been decided. Especially permission to apply for drone flight in densely populated areas is necessary. To do so, we must find a place that is not a densely populated area or an indoor drone airfield. And the most important thing is the presence of associates who are sources of information and motivation. In the past, there were communities where such people gathered in local radio controlled shops and others, but there are also such communities these days, but there are communities of people who have gone to extremes in the wider area of ​​the Internet era. However, beginners have a lot of courage to jump into such community communities. The JDRA online salon is a paid salon operated by DMM and is installed in the Facebook group. A monthly membership fee of 5400 yen is required, but this 5,400 yen is a cheap amount. Just because it is 0 yen in the first month, I tried to stop trying if I thought that it was not worth, so I tried participating. In the salon of people who love freshly made drones, we can have conversation not only for drone races but also for drone in general. Mr. Kodera, president of JDRA, are quite satisfied with the welcome atmosphere! And there are various people who participate every day here. I was surprised that there are many people who have started recently, such as beginning drone race experts, beginners, doing drone related work, I would like to start more than I expected. As expected, useful information unique to pay salons can be obtained. While I was a newcomer, I posted that I wanted to participate in the race while posting various posts, talk about organizing the production event of the race drone machine, stories of the drone driving range in Koto wards recently made by JDRA, people from various places I listen to the story such as the environment that I usually practice and I really support everyone kindly. So I would like to start FPV drone race straight from this online salon, but what kind of race do you have in the first place? I asked. For the time being I want to challenge the FPV mini drone race and in fact it is a race competing in a small drone in a small space such as the house named Tiny Whoop which I thought was interesting. I can not help watching this video! I was stuck in a lot of points. So I decided to start with my two drones races from FPV ‘s mini drone race and more mini Tiny Whoop! 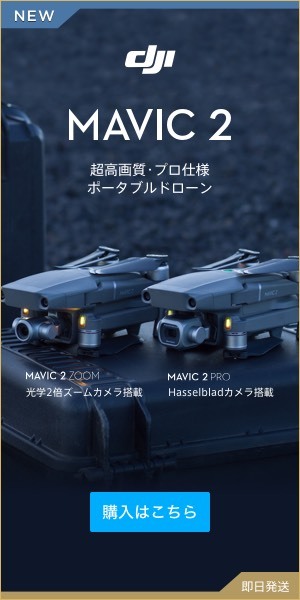 These drone race scenes have not been established yet, it seems that international and Japanese standards will be decided in the future, and it seems like the difference between radio control and drones seems to always be creating new competitions and fun. I think that racing and event planning which can be enjoyed also in the family layer such as girls and children from the radio control area of ​​a man such as drones girls already will be born. When thinking so, already thought that it is inexpensive from adults if it is from adults that considering things such as those of local people who are not quite able to obtain information and information, even those who live in Nagoya quite easily find such people in familiarity. Even if you use Google teacher by myself, you can buy and assemble aircraft parts with online mail order, but the spread and motivation from that can not continue very easily. There is another hurdle to acquire another amateur radio fourth grade license. It is necessary to apply for amateur radio 4 class license and radio station opening application which can handle 5.8 GHz band, such as sending video from a camera with drone mounted FPV in real time to the pilot racer. You can obtain a license by passing the exam or a two-day course, but this alone will be a huge hurdle from the general public. From the JARD homepage, check the course schedule in each area, download the application PDF, fill in the desired course and it seems that the license will arrive in the week after that. The tuition fee is 22,750 yen (those who are 18 years old or less, 7,750 yen) Although there seems to be a test on the second day of the course, anyone will pass. When I examined the schedule of schedule in Nagoya City where I live, February 26 and March 5 are the most recent, but it is still a month away. Looking at the Kanto area, there are trainings organized by JARD as expected, as expected! I decided to attend February 26th and March 5th tentatively. After acquiring a license, it will take about a month to open a radio station, so it will be necessary for 45 to 60 days from license acquisition to launch. Regarding the revision of the Radio Law around here as well, I think it will be a big challenge for the future and will be an environment for many people to feel free to participate. Especially in the drone race where the world convention is expected in the future, it is necessary to develop such that it will not be an obstacle to overseas pilots. Next time I will tell you the assembly from the purchase of the drone racing machine and the FPV system actually! 【Useful for drone flight improvement】 Learn the habit of attaching flight records!